Valentine’s Day is almost upon us, and it’s decision time. Do you book a romantic meal for two? Whisk your loved one away? Or are you happy to be part of the single crowd, and more interested in spending time with friends? Whatever the answer, here at Glasgow Prestwick Airport, we have it covered with a range of fabulous destinations where you can enjoy sharing new and wonderful experiences with loved ones – and it won’t break the bank! 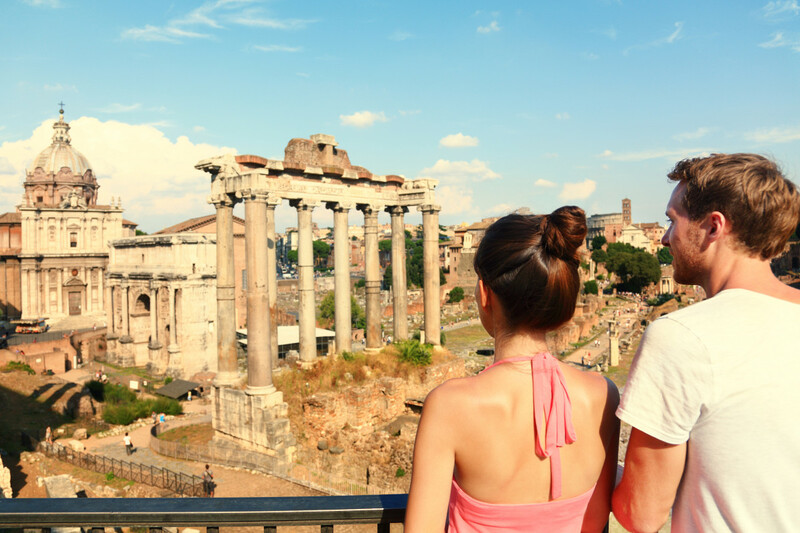 Romance will be in the air when you visit Rome. Offering lovers an endless array of places to visit, the Eternal City is renowned for its spectacular sunsets that transform church towers, domes and walls into lustrous golden hues. A visit to Fontanone, which sits above Trastevere provides the ideal spot for contemplating the stunning cityscape. The must-see romantic places to take your loved one include the beautiful Ponte Sisto, known as the “kissing bridge” and the Ponte Milvio Bridge where you can add to the treasure of padlocks left by couples and friends. Once attached, throw the keys into the Tiber River below to seal your everlasting love. Tuscany is one of the most romantic places in the world. You don’t need to look for a breathtaking panorama or a dreamy location to impress your sweetheart, because everywhere you turn there are views which will awaken those warm, fuzzy feelings. All you need to plan a romantic holiday in Tuscany is to be in love. Tuscany, with its small towns, incredible views and savory flavors, will do the rest. Fly to Pisa twice a week from Prestwick. 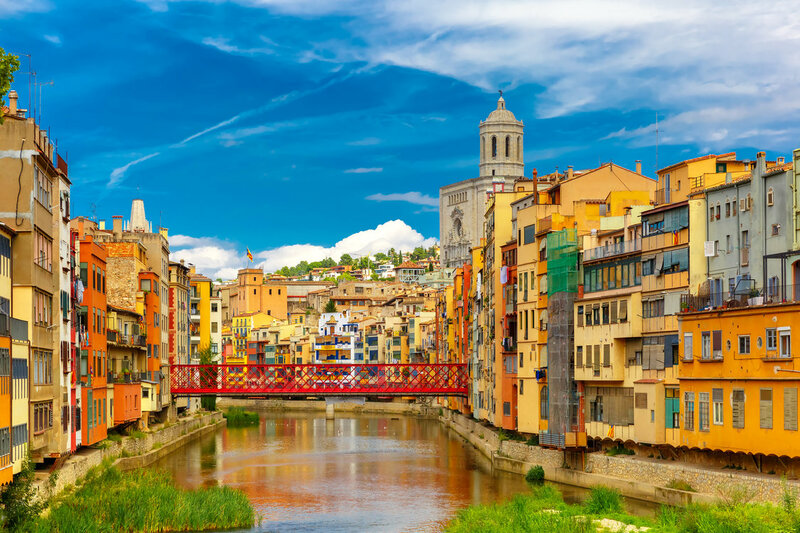 Forget the big Spanish cities of Madrid or Barcelona for a romantic break, head to the charming province of Girona. Stroll hand in hand through the city’s Jewish Quarter, fly in a hot air balloon over La Garrotxa National Park or stand and admire the views from Besalú bridge. If you fancy a late Valentine’s Day celebration overseas, along with a welcome burst of winter sunshine, head for Tenerife where temperatures can reach a heart-warming 20°C at this time of year. Tenerife has many wonderful restaurants that serve up local cuisine, providing an idyllic setting to enjoy a romantic meal with that special someone. This is an island of vast sandy beaches, gorgeous mountainous landscape, and a range of resorts to fulfil every holiday-maker’s desire. There are white sands and watersports to see you through the day and by evening, you can dance the night away in one of the popular beach front bars. Walking hand in hand as you stroll along the cobbled streets of Old Town Faro, you’ll be able to admire the historical architecture and charming little streets of the Algarve’s capital. There are lots of places to visit, including an unusual one that is sure to make your loved one hold your hand that little bit tighter. The gothic haunt of the Capela de Ossos Bone Chapel. This is a small chapel built from human bones with five star reviews, so you won’t want be disappointed! As the dusk descends on Faro, evenings provide a fun party atmosphere as the bars and restaurants fill with locals and tourists and the music provides a Latin vibe that is sure to make your hips sway. 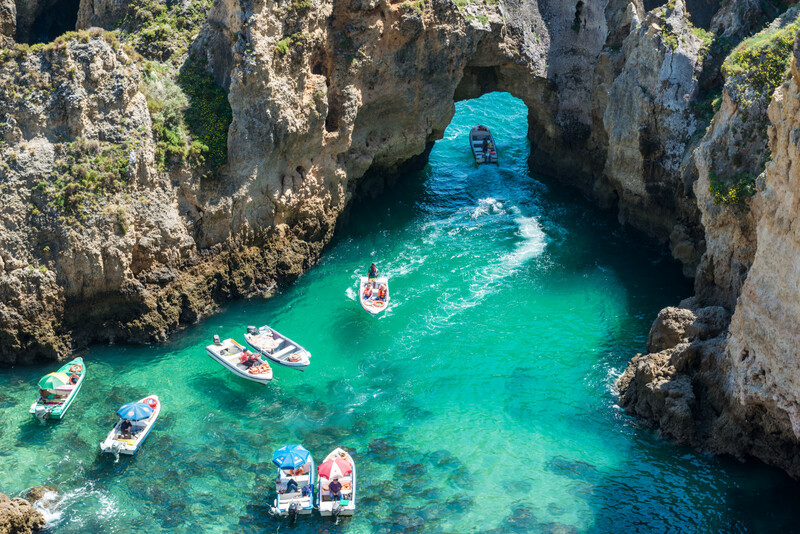 Return flights to Faro 5 flights per week. Don’t worry – if you can’t make your mind up about which fabulous destination to choose, you can always purchase Ryanair vouchers and then plan your trip together!